With the start of 2018 comes big ideas and plans for the future, it’s the start of new year’s resolutions and on everyone’s list is the big post-Christmas kitchen and house clean. Out with the old and in with the new. For many homeowners, it’s the right time to think about that next step on the property ladder and make a start on getting their home ready to place on the market. Today we look at the top kitchen design mistakes to avoid when you’re planning on selling your home. Creating a kitchen with a lack of storage space is a huge mistake, many potential buyers will look for at the functionality of the kitchen but many designers will try and create space within a kitchen and under utilise the storage space available. This makes for cluttered worktops and an overall messy kitchen and an un-enjoyable place to spend time in. Trends change, right now greys and rich dark blues are the trend of the moment, but only a few years ago, high gloss kitchens were all designers could talk about. Similarly think back to the interior designer’s shabby chic trend of 2015 that turned industrial in 2016. Potential buyers are just as fickle. 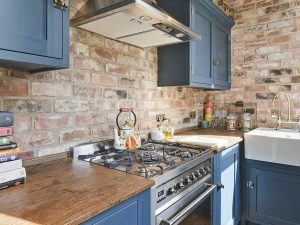 Seeing a kitchen with a glazed, distressed or crackled effect, or unappealing colours is not to everyone’s tastes and buyers will be instantly turned off the property for fear that the investment to stamp their own personality is too high. If your’e renovating for yourself then the kitchen will be designed in a completely different way than if you have plans to move and add value to your property. So integrating quirky extras such as large wine coolers will only appeal to you personally, the potential buyer may however, see this as a potential waste of space that could be better utilised as a cabinet for cooking equipment and produce. 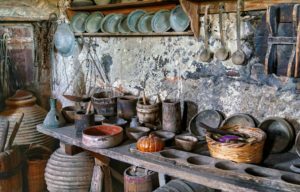 Designing a kitchen without looking at the workflow that goes through your current kitchen now will result in a less functional kitchen overall. How do people use the kitchen and how should this influence the design, is space needed for homework, for entertaining, for eating? Is there an adequate triangle workflow between the cooker, fridge and sink to allow the most efficient movement around the kitchen? A lack of counter space will make for a less efficient workflow. 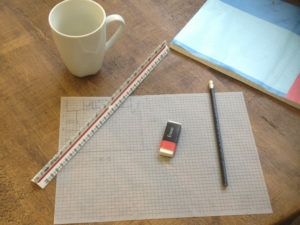 Try to create as large a work space as possible to ensure that daily tasks can be done with ease. Integrating elements such as kitchen islands, will create more work space and add a multitude of storage to your kitchen. Not getting a professional involved can be a huge mistake when planning a new kitchen renovation project. 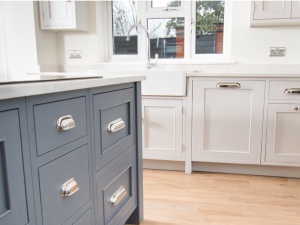 Professional kitchen designers such as Mudd&Co will check the sizing of the units, advise on storage spaces, advise on colours that best suit the light and check the widths pf doorways and walkways. We suggest you contact initially even if you end up installing the kitchens yourself. A significant investment is made on kitchen renovations, it makes sense to do it right the first time. The budget for your kitchen renovation should be calculated in line with the overall value of your home, this should be a sensible figure. You should consider that a new kitchen should add around 4.6% onto the value of your home. This should help with figuring out your budget. From this, you’ll need to consider the split of labour and materials across the renovation. As a brief overview, 22% design, 9% plumbing and electrical, 14% appliances, 16% walls and floors etc. Leaving your appliances until after you have installed your new kitchen is another mistake. Ensure you measure the electrical appliances that you want and pass these details along to your kitchen designer. This allows them to build the kitchen cabinets and worktops around them rather than finding that they do not fit at a later date. Changing the layout of kitchens by knocking down walls and walkways will dramatically increase the expenditure and blow the budget you have for the kitchen renovation. Keep costs low If you’re looking to sell and utilise the layout and space within the current kitchen. Obviously if you’re planning on keeping the house, and have no plans to sell in the near future, any changes to structural elements of the house are completely up to you. Mudd & Co design and hand manufacture bespoke kitchens and furniture from our Staffordshire workshop, contact us on 01538 380 988 for a quotation or a chat about your project. If you’d like to stay up to date with our social media, follow our instagram page for visual updates. 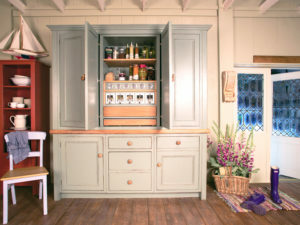 Mudd & Co have been handcrafting exceptional kitchens and furniture in Staffordshire for over 25 years, combining an extensive knowledge of antiques with quality construction and innovative designs.